The Grand Maitreya project is one of Loving – Kindness for world peace. An ancient tradition for some Mongolian and Tibetan High Buddhist Lamas of the past was to construct enormous statues of Maitreya Buddha. Maitreya is the Buddha, or Bodhisattva of Loving – Kindness, the root word for Maitreya in Sanskrit literally means ‘loving kindness.’ It is taught that Maitreya is the embodiment of all of the Buddha’s and bodhisattva’s Loving – Kindness for all sentient beings. Bringing Back Mongolia’s Rich History & Culture of Buddhism. At one time, long ago, there were many large beautiful Maitreya statues in Mongolia and Tibet. Nearly all of these Maitreya statues were destroyed during the occupations of the 20th century. Now, only but a few extremely difficult to reach statues are all that remain. After many years of occupation Mongolia received their religious freedom once again in 1990. This has allowed the people of Mongolia to start the process of reclaiming their rich history and culture of Buddhism. Currently the Grand Maitreya Project is working to help further re-build the Buddhist culture that was once so prevalent in Mongolia. 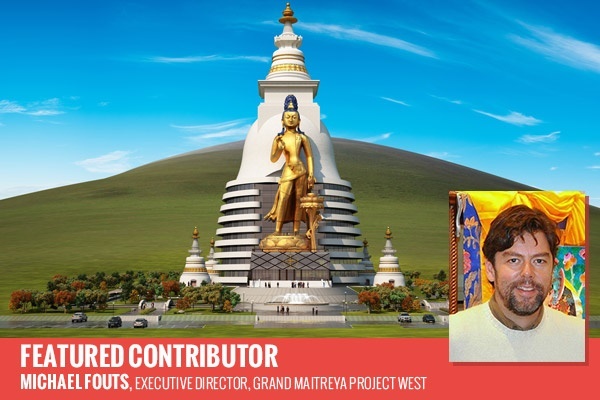 At the projects core will be the world’s largest symbol of Loving – Kindness, a 177 foot tall statue of the standing Maitreya Bodhisattva. Connected to the statue will be a 354 foot tall stupa with several interior levels. Enshrined inside of the statue and stupa will be holy relics of the historical Buddha. The statue and complex are located in the sacred Bogd Khan Mountain range, just outside of the Mongolian capital city of Ulaanbaatar. 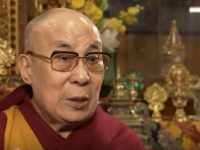 The complex will be home to a new temple for His Holiness the 14th Dalai Lama and will serve as an international retreat, tourist and educational center. Featured in the complex will be Buddhist temples and centers representing many different lineages and traditions from around the world. The founder of Buddhism, Gautama Buddha taught that there is incredible benefit in creating holy objects, as when one sees an image of Loving – Kindness and peace it makes one think of peace. At that time a positive seed is planted within the mind and that seed will soon grow into Loving – Kindness. The intention is that the size and beauty of this Grand Maitreya statue will bring the sacred symbol of love to the attention of many people throughout the entire world. 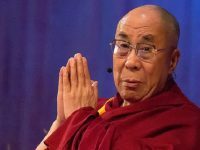 The Project is being conducted under the spiritual advice of His Holiness the 14th Dalai Lama, the leader of Mongolian Buddhism His Eminence Khambo Lama Gabju Choijamts Demberel, Lama Jhado Rinpoche and the Venerable Thupten Ngodup, the State Oracle of Tibet. 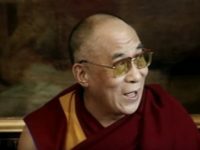 Once the statue and stupa are complete, the Project will then work to help create a culture of Loving – Kindness in both Mongolia and in the west, through mindfulness education programs that are based in both Buddhist ethics and philosophy. The statue is currently 35% complete and the goal is to complete the remainder of the statue and stupa by November 2017. The Project is now conducting a Fundly campaign to help raise additional funding to further the construction. Limited edition reward gifts including statues are being offered to contributors. The projects aim is to help to bring back a valuable part of lost Mongolian culture. While bringing this universal symbol of love and peace to the attention of the entire world. The project feels that through the practice of Loving- Kindness world peace may be achieved. Michael Fouts is the Executive Director for the Grand Maitreya Project West and a long time student of HH 14th Dalai Lama. Michael resides in Santa Fe, NM where he pursues his dream of educating the world on the need for Loving- Kindness now. While working towards being the best husband and father of two beautiful sons that he can be.